This year Campus Crashers selected Texas A&M and a trip to College Station for a late September showdown. 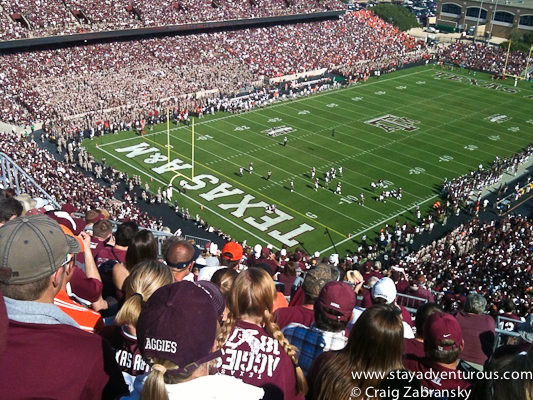 The Aggies hosted the Cowboys of Oklahoma State in a top 10 match-up at Kyle Field. 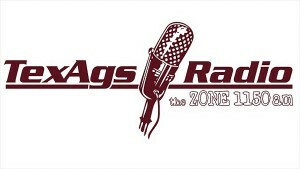 But even before we packed our bags to travel to Texas, the Zone TexAgs Sports Radio, set up to interview us. I, along with one of the Campus Crasher founders, Matt, answered questions about the group’s inception, growth, and our best memories from the ten prior years (just 3 for me) including last year’s Campus Crasher adventure in Colombia, South Carolina. Our radio appearances charged up our “crashers” and actually made some of the locals excited to meet and greet us. In fact, when buying 25 cases of beer for the weekend at the local distributor, our northern accent was noticed and we were asked if we were the “college crashers?” He had heard us on the radio. Celebrity status? Well, maybe not, but it was a great way to start the weekend and also inquire about the local hangouts. The “12th Man” starts to prepare early for game day. On Friday night, the bars empty out about 11:30 pm and the students, fans (and crashers) all head over to Kyle field. I’d estimate over 5,000 attended this fun yet, slightly formal pep rally. 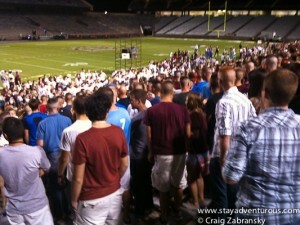 Cheers and chants dominate the “midnight yell” but it’s when the lights go out in the stadium that the magic happens. That’s the secret. Between the yell, the tailgate, and the incredible half-time show with the marching cadets, college football is serious business in College Station. Just the way we like it. A few crashers arrived early to claim a spot with our new friend from the radio show, Alan and others arrived a bit later. 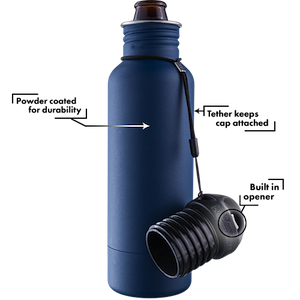 We all carried in our beer, but we didn’t bring any food. It became a non-issue. The Texas hospitality amazed. Everyone offered us food. It was one of the friendliest tailgate scenes I’ve seen. And very festive too. As game time approached we headed off to other tailgates. I loved all the SEC shirts and flags already. I asked one gentleman about his shirt and he said, “eBay.” Nice. The tailgate euphoria quickly disappeared in the second half of the game. It got ugly. The 20-3 lead evaporated and suddenly the Aggies were behind. Turnovers, missed coverages, bad execution and the Oklahoma State Cowboys took control. A late surge proved not enough and we headed back to the tailgate with a loss. We always root for the home team. 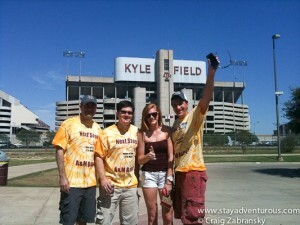 And after our first 24 hours in College Station, many crashers took a strong liking to the campus. We were not just visitors, but fans. The loss hurt us too and everyone knew the BCS Championship dreams might be out of reach. But the crashers, a group with few rules, do follow the creedo, “win or lose, we still booze.” and we joined the Aggie faithful for another great night on the town. After the sunset, the post-game tailgating waned and a few of us hopped in the back of a pickup truck with our new friends and “hosts.” We zipped around campus on our way back to North Gate. Just riding in the back, in Texas, with our alumni friends made the night. But the evening would also include a talk with a retired colonel about General Patton’s love for Aggies, taking in the “views” from atop the Corner Bar, and a return to the College Station icon, the Dixie Chicken. 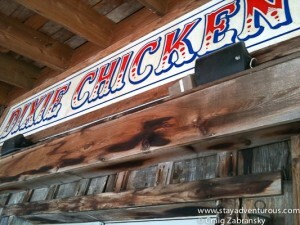 Many of us found ourselves inside the Dixie Chicken three times, twice on Friday, (afternoon and night) and again on Saturday night. This time, people approached us. Some heard us on the radio and others loved our T-shirts. Fans propositioned us (to join our group) and the owner of the Dixie Chicken gave us all T-shirts. We made sure he received one of ours too. Another great night and a great time in Aggie Land. what an impressive half time show. I thought my mindset change moment was going to be about how radio hosts praised us for not just talking about it (these annual pilgrimages) but actually doing it. Yet something else left a bigger mark. As a New Yorker, I was well aware of the 10 yr anniversary of the September 11th attack passed. But in the second half, I was reminded of an amazing moment in college sports. The ex-students recognized on a timeout, ignited an entire fan base to do something special. They created the “Red, White, and Blue Out” in September of 2001. An image appeared on the huge screen (see photo here). Amazing. 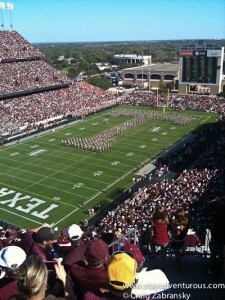 Suddenly the stadium tears and cheers were no longer for the Aggie football team, but for the unity of the moment. For America and Americans. It put the outcome of the game into perspective. This was not just a moment I’ll remember from the weekend, but a sport’s moment I will always cherish. 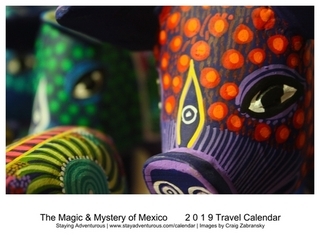 This post is part of the Autumn of Adventure and the Adventure Travel Mindset series. 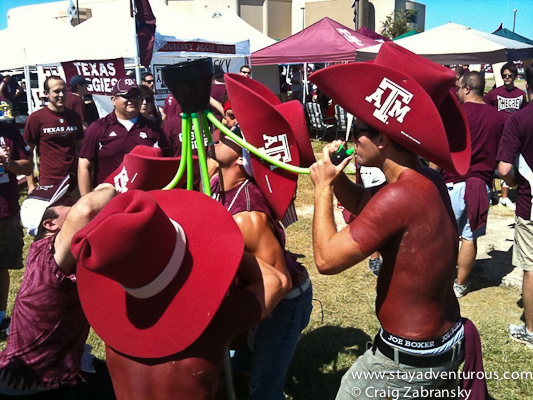 Despite my my disdain for all things Texas A&M, I love this concept. I’m kind of mad that you were only an hour away from me on this Campus Crash and I didn’t get an invite to join. I see how it is, Craig. Is it football season yet? I’m ready! 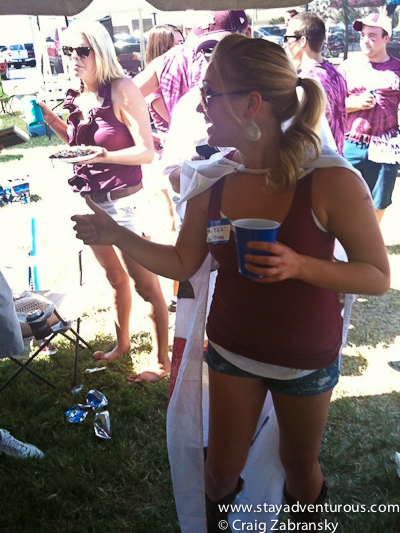 Leah, I doubt you would have enjoyed the A&M event… We’ll keep you posted if, I mean when we get to TTU.